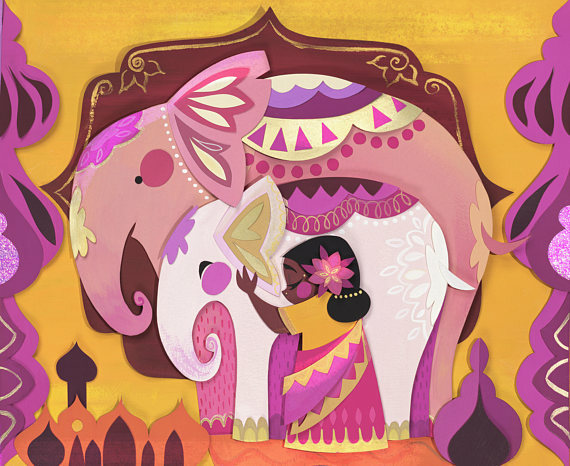 EPBOT: October Art Roundup: Potter Princesses, Lumiere's Library, & Papercut "Tiny Worlds!" Going back to Hogwarts, though, TJ has the CUTEST Hufflepuff print, and promises the rest of the Houses are on the way! 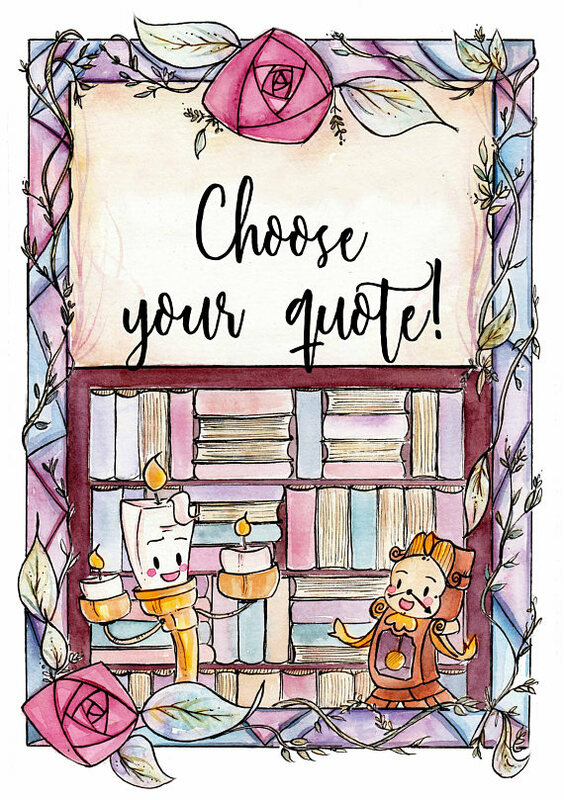 Watch her Etsy shop for the rest of the House prints, and to browse all her prints, stickers, bookmarks, and more! COLORED PENCILS. I mean... how? AHHH-mazing. Go follow her on Instagram, then check out her online store for these prints and more. 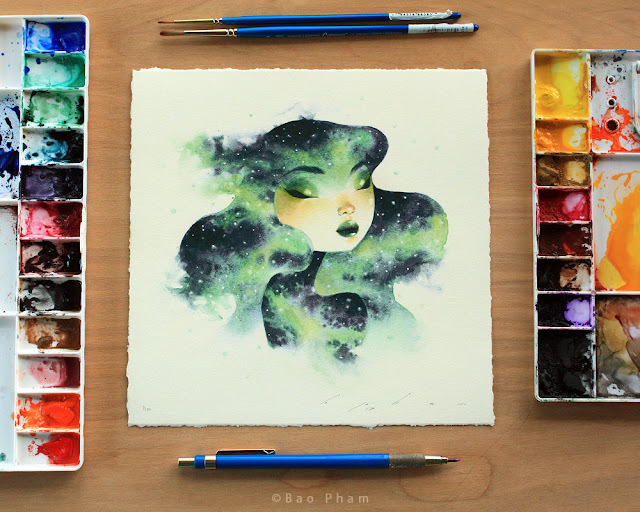 Follow her here on Instagram, then check out her Etsy shop for both prints and originals! She's been using real gold leaf for the accents! Just stunning. So be sure to tell me in your comment if you like either/both of those, and I'll enter you in those drawings, too! Internationals welcome (I'll ship anywhere), and I'll announce all 3 winners in my very next post, so don't forget to check back! Beautiful collection, as always! 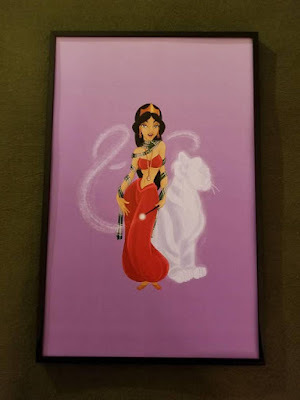 My husband would love the Marvel print, and I love practically everything on the give-away board. The art you feature always makes my day! I would please like ALL of them. You find the most beautiful things!! The Marvel Roundup would be a great birthday gift for my almost 9 year old! The Marvel Roundup would make my 12 yo daughter thrilled! And her birthday's next month. I love the Marvel print! I love all the art!!! Just like every month I have my fingers crossed to win something Whovian. Sailor Moon or wildcard please! Thank you for sharing these lovely pieces! Oh the Marvel Roundup! I love the Deadpool Balloons. I like both the sailor moon and marvel (although if I had to choose between the two it'd be the marvel one). Please also enter me for a wildcard, too! Wildcard for me, please! Thank you for sharing all of these incredible works of art. The Bao Pham prints are gorgeous and I know someone who would absolutely adore Rapunzel the Hufflepuff! That jellyfish is just...wow. Wow. Great round up! I like the Marvel as well! Those color pencil drawings are insane! 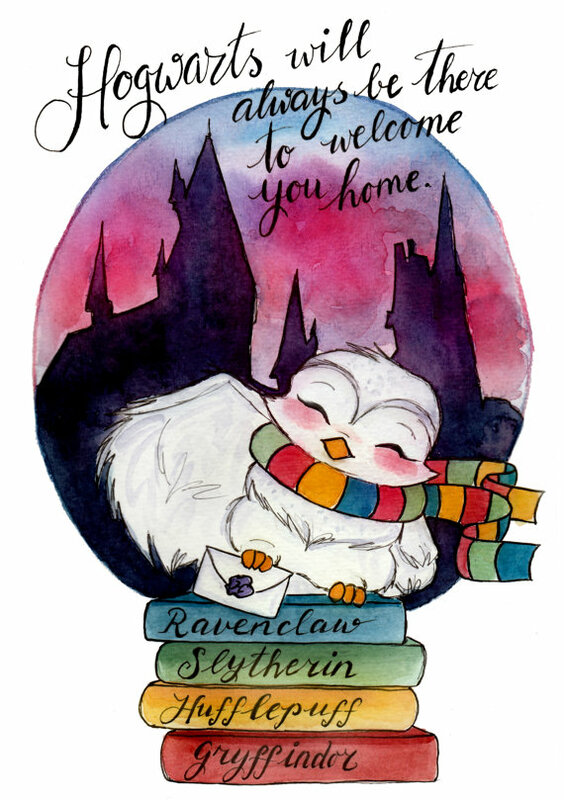 The Hogwarts print with Hedwig is lovely, and also the Hufflepuff one. Love the Marvel Roundup too! So lovely! Thank you for finding all the pretties! I love it when you help me find new artists. 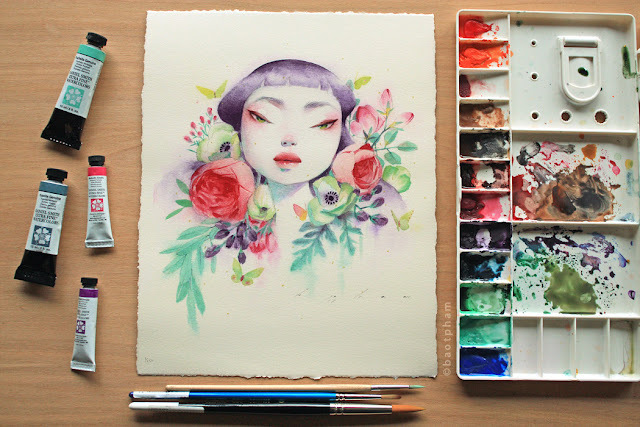 Your art roundups are some of my favorite things! I love finding new artists! That Marvel art piece is super cute. I always look forward to your Art Round up posts because you help me find so many new artists that I want to support. And yes, please enter me in both the Marvel and the Sailor Moon drawing. Amazing round up!!! I love the Marvel and Sailor Moon prints! Oh, the Potter princesses are wonderful! I'm loving the Marvel Roundup, too. Potter Princesses are perfect! I would be most humbled to win any print you would love to share with me. They're all awe-inspiring! 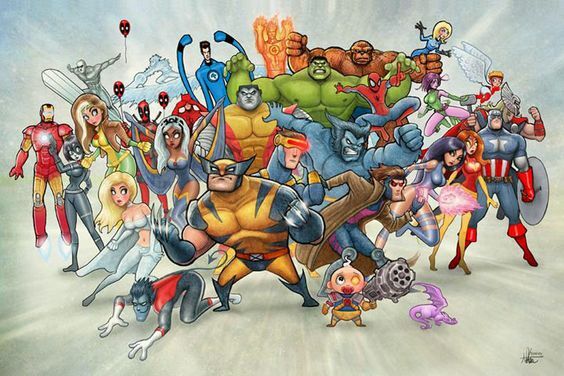 Ooh I'm loving that they put the X Men front and center in that Marvel piece!!! My fav mutants get overshadowed by the MCU sometimes.. would love to be considered to give it a new home! That sweet Hedwig... so cute! Also, I love that Marvel print! Can not show all the potter stuff to my 10 (11 is 4 days) year old, she would want it all! I would also love the sailor moon for my girls room. I looooooove the Hedwig Hogwarts piece! Ahhhh! I would like to be entered in the giveaway board drawing and the Marvel art. 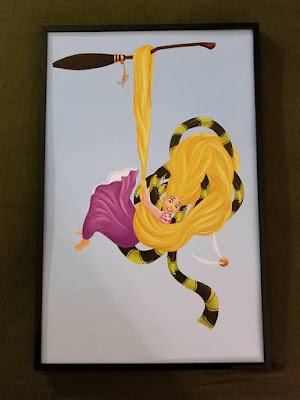 The Hufflepuff print! So cute! The Marvel line up looks awesome. I love looking at your roundups and I have more reason too now, because we are moving into our new home soon! I would love something from the giveaway board. You have the best art every month!!! Love all the Harry Potter. The owl print is itching to be my sister's christmas present. Oh my lanta! Those paper cut art work are outstanding!! I love the Marvel Roundup especially since it includes the X-Men. Artists represent the X-Men where the Marvel licensing fails fans. Love all of this month's art. Please put me in for the wildcard and Marvel roundup. Enter me in the wildcard & Sailor Moon drawings. Mahalo! So many pretties! I love all the art! Please put me in for the wildcard draw! Marvel Roundup!!!! Love all the artwork! LOVE the Hedwig and Hufflepuff ones. ( Well, I love all of this, really.) I like the Marvel Roundup as well! Oh my goodness, my bank account is about to be sad. 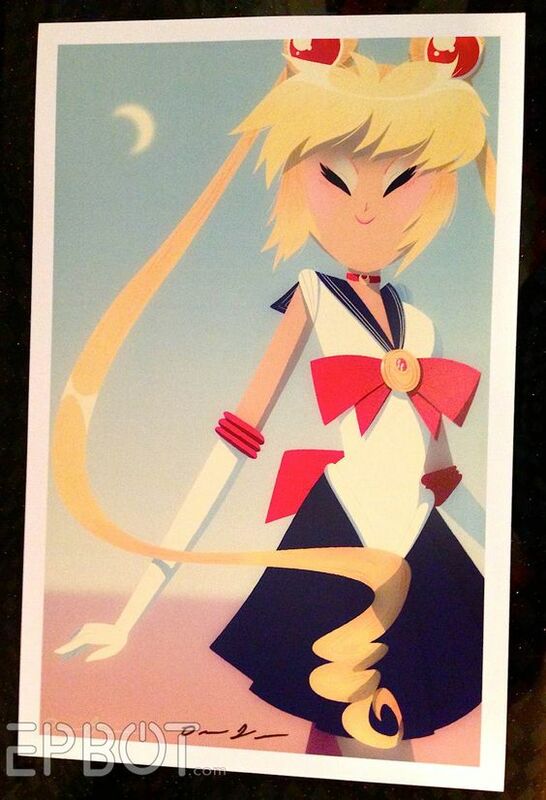 I am over the moon, for the Sailor Moon print also!!!! Fingers crossed!!! Thanks for sharing your finds with us. Lovely art as always! 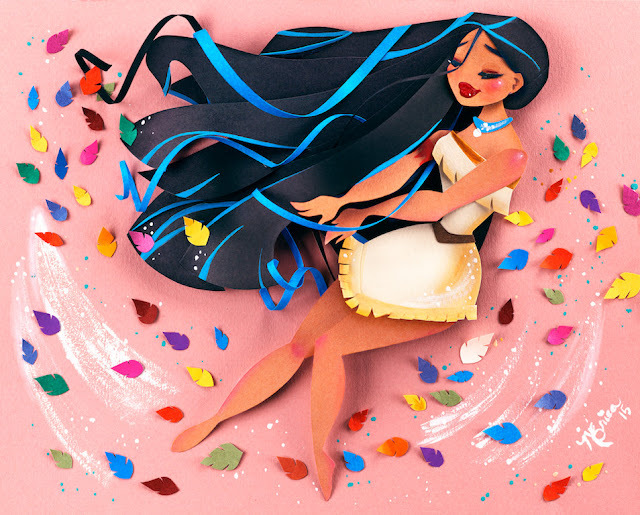 Ooooh, the space jellyfish and Pocahontas are so pretty! Also, I can't stop staring at the colours of that rose. 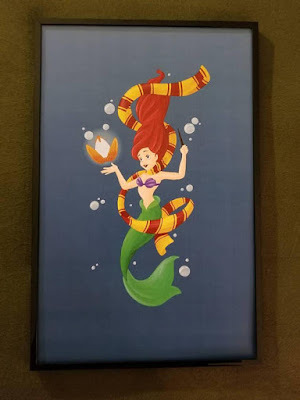 The Potter princesses are sweet, but my heart swooned over that Hufflepuff common room print! Holding my breath until A Ravenclaw house print comes out! I love so much of this! I actually went and bought the Belle print! And I love the Marvel art! fantastic! I'd love the marvel! Here's hoping I win so I can let the kiddo choose his first art print! 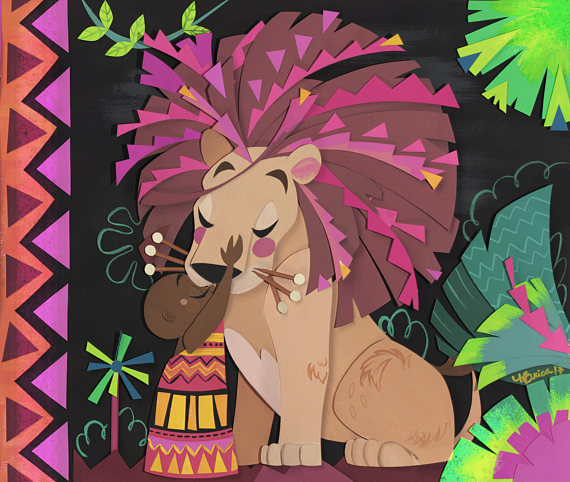 Those colored pencil pieces and the paper cut out pieces are amazing! So much to enjoy! I can't choose a favorite! There is so much here that made my jaw drop, wow! Also, the Marvel Roundup is seriously awesome! Colored Pencils? How! That is some magic! WOW! I love the Avengers print, put me in the drawing for that please! Nathanna Erica's pieces are utterly swoonworthy!! Some especially gorgeous art this month!! Not interested in either of the extra pieces, so only want to be added to the list for the main drawing. I love this monthly feature. How does anyone ever choose from the pinterest board?! Sooooo many great finds! Oh man I LOVE all the Potter stuff! It's so cute. Can't wait for the Ravenclaw print to be released. I'm interested in all three drawings! So much pretty! Fingers crossed for the wildcard drawing! 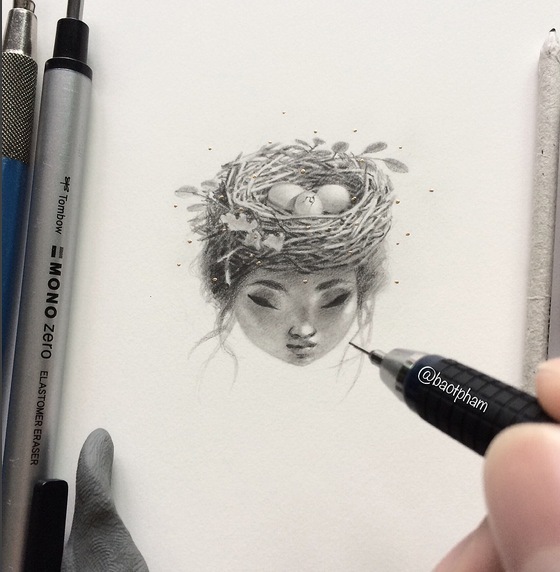 I love everything in this art roundup, but especially the colored pencil drawings. They're so VIVID! I would also love to win the Marvel Roundup print. 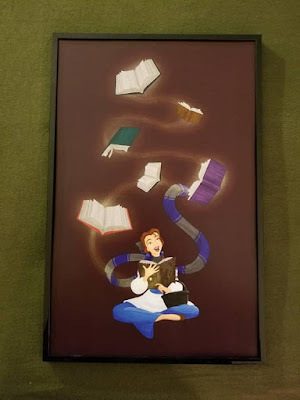 OMG, that Hedwig print is glorious! 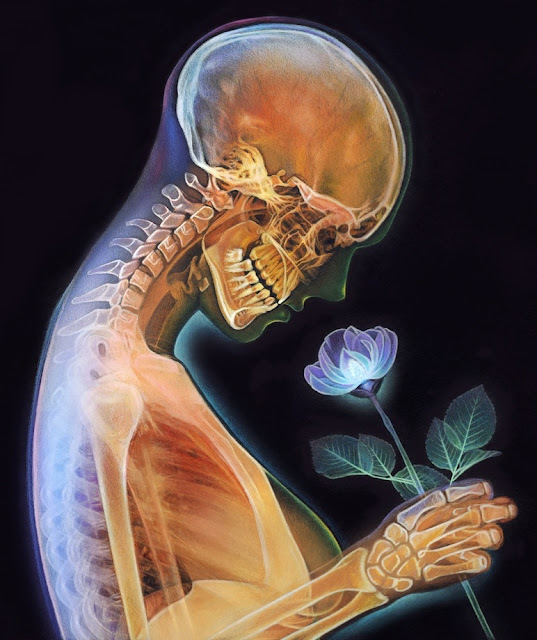 Beautiful art finds as always. Fingers crossed! Soooo many goodies on that pinterest board - Marvel Roundup for the wildcard, please! My husband would like the marvel one. You find the best art! Oh my gosh i love all the Harry Potter art. Also love the paper cutting. That little hatching dragon!!! Oh yes, please. that jellyfish!!! and the heather hitchman, tj lubrano, stuff is fantastci!! well all of it is fantastic I love it all!!! Wow, can't believe those colored pencil pieces! Wow! I want almost everything in this posting. And that sold out print with the butterflies - gah!! I would like to be entered into the wildcard for the Marvel roundup, too please. Always with the lovely stuffs! I have found so many beautiful things, thanks to you. Please enter me in your regular drawing! 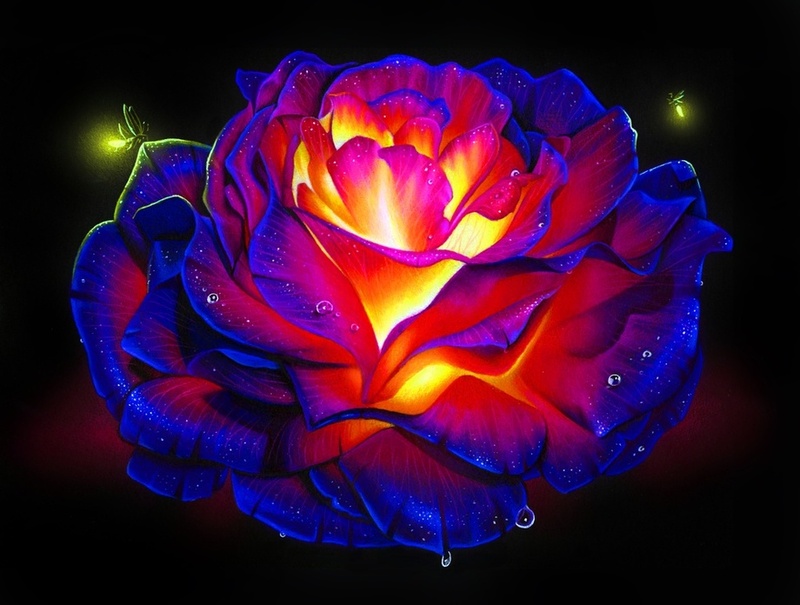 Oh my goodness, that colored pencils rose just made my jaw drop. What gorgeous, vibrant colors! I absolutely need the Marvel one. But I also drool over the art board. I still have some walls left! I love it all! Thank you for the opportunity! Absolutely in love with that papercutting art. <3 Thanks for the awesome roundup! I always add new artists to my fave lists! I would just want something off the board this month. I have to say though that Rapunzel as aHufflepuff is absolutely perfect. One of my favorite princesses in MY house. Love! 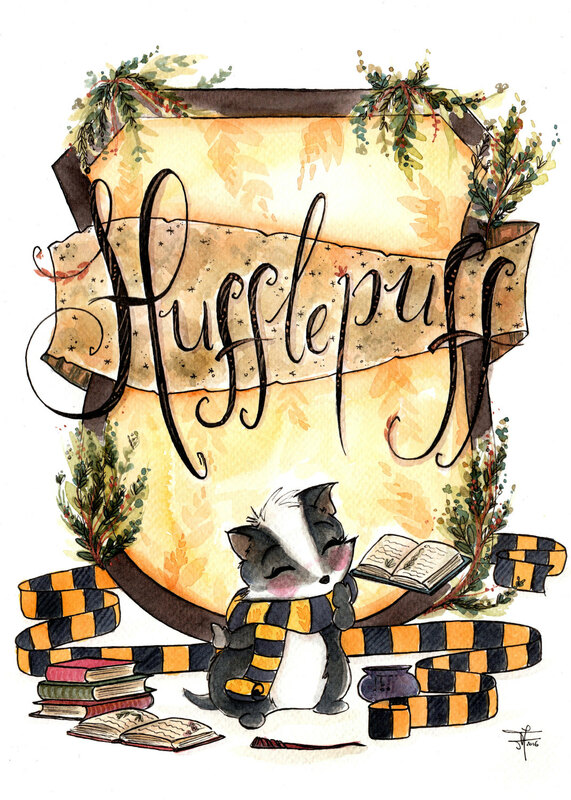 And that other Hufflepuff print was most definitely Squee-worthy. I love everything but Sailor Moon entered our house this summer and that print is amazing. Fabulous as always! Those papercuts are completely amazing!! Everything is so beautiful this month!! I just...kept thinking that I'd seen my fav for this round, and then I'd scroll and something lovely would catch my eye again. Spectacular finds Jen. I am in love with so many. I like the Strawberry Gryphon on the Pinterest board! Would love to win this, or Marvel Roundup or Sailor Moon. I fell in love with some of Heather Hitchmen's art at a con this summer--they're really lovely in person! (as is she). Fun to see them here! Wow, that colored pencil art is amazing! Please enter me for the wild card drawing. Thank you so much. As always, I love them both. 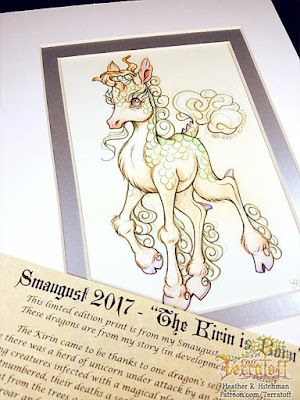 Extra fabulous round up! I loved almost everything. And already ordered a Hufflepuff print. The cute wittle badger!!!! Great roundup as always! That Hedwig print is adorably cute...would love to win the wild card. That jellyfish...swoon! I'd love a wildcard slot! 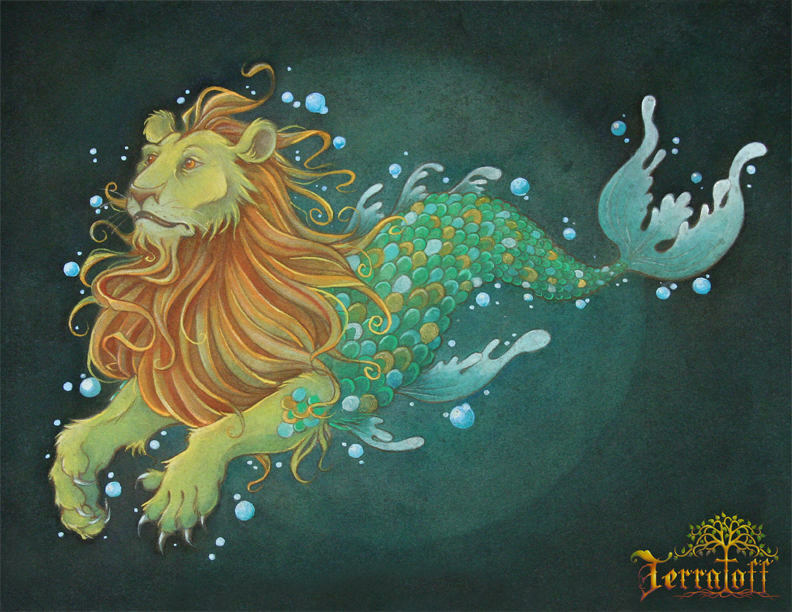 I LOVE TJ Lubrano's art and just bought 2 of her prints. SO PRETTY! That rose is so beautiful. I need it in my life. Love your monthly art picks :D.
Thanks for posting such awesome art as always! You always find such great art! Please enter me in your drawings. Love,love love that Marvel print! Love those cut paper ones! So pretty. Enter me in the wildcard draw, please. 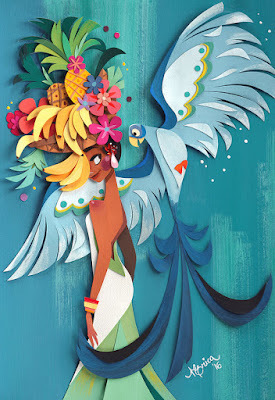 I always love the paper craft art! The colours. The texture. The whimsy. The Marvel Roundup print is amazing! Nathan does such lovely work! I just bought two prints from Morgan Davidson and it's all your fault. Thank you so much for brightening up my weekend :) Always love your art round-ups! Please enter me in the Wild Card drawing, I've had Parnell's Supergirl as my phone background for months and would love to see it on my living room wall! Beautiful as always! I can't believe the colored pencil drawings. Amazing! OOH! OOH! The Avengers print and the Wildcard drawing, please! And you TOTALLY just helped me with most of my Christmas shopping, so WOOT! I love all the art you find! Thank you for finding so many good artists for me to follow on Instagram! Sighing a little at Belle being placed in Ravenclaw, when I personally believe she'd be in Gryffindor. She doesn't read to learn, she reads to have adventures. And she takes her father's place and ventures into the woods a few times. Perhaps she's a Gryffinclaw? I like both the Marvel and Sailor Moon prints! Oh, please enter me in for a wildcard and the Marvel round-up. I usually love your art round-ups, but this one has me swooning. Heading to Etsy! Wow! Those colored pencil drawings are incredible. I wonder what brand she's using. Please count me in for the general drawing. You find some of the most amazing things, Jen. This time, I think you've outdone yourself. ;) I love just about everything this time around! But...that Hedwig...squeeeee! Would love to win the marvel one or anything from the Pinterest board. 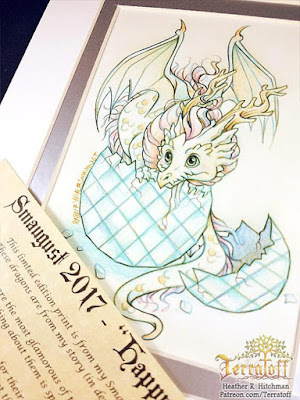 I am loving this month's Art Round Up! I just added about 6 pieces from here to my Christmas Wish List. I'm a bit disappointed the Potter Princesses only ship within the US... but that's probably better for my wallet! Enter me for all the giveaways! I love looking through these! Another mouth watering selection of art! Please enter me for the wild card draw! 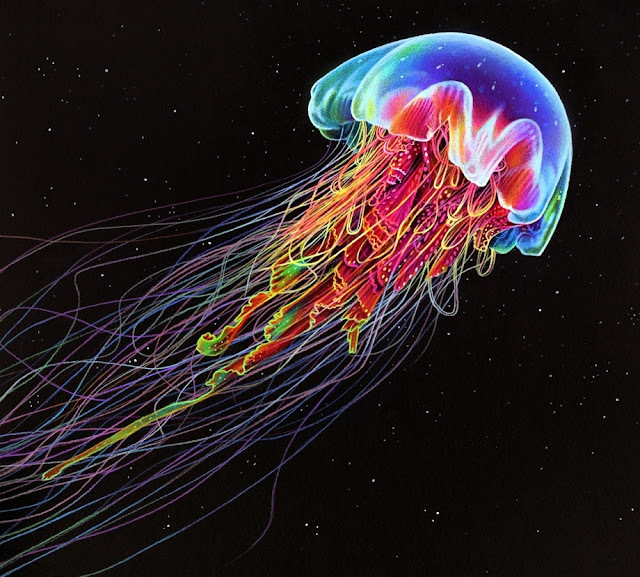 Are you serious that that jelly fish is pencil crayon? thats absolutely amazing. Wow! Wild card and either of the two extras - all wonderful. 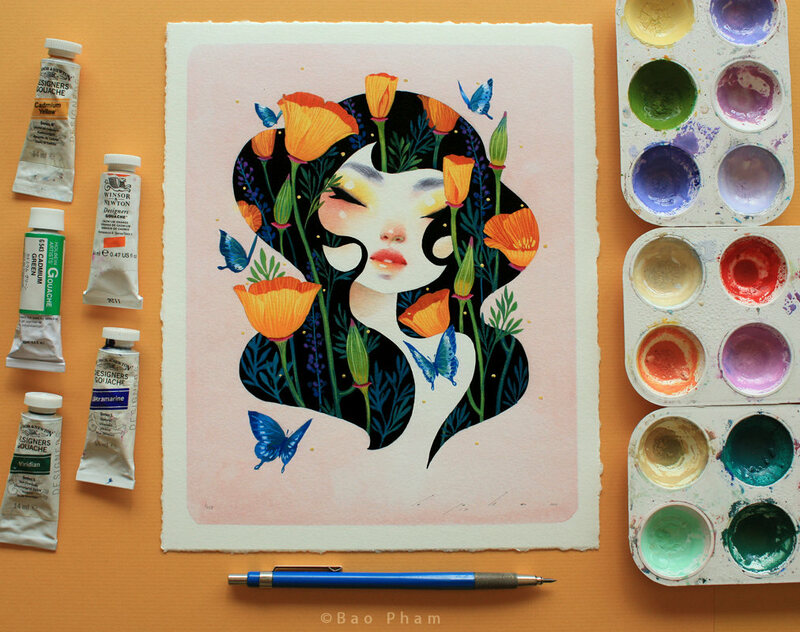 Wow those pieces by Bao Pham are incredible! I'd like to be considered for wild card. Those princesses, wow! And the magical creatures, the amazing colored pencils work, paper cutting and paint, so much amazing art! I'd to be entered in the wild card drawing and the Marvel Roundup drawing, please and thank you! I love the Hogwarts art!! Love the marvel print and those paper cuttings are amazing! I finally have a classroom, and Morgan's "See-through" would go perfectly in it! So would just about anything else too. I ♡♡♡ all the Harry Potter artwork! I love your art roundups. I would like to be entered in the drawing for the Marvel Roundup. That Hufflepuff badger is so cute! Wild card and Sailor Moon entries for me please! All fantastic per usual! 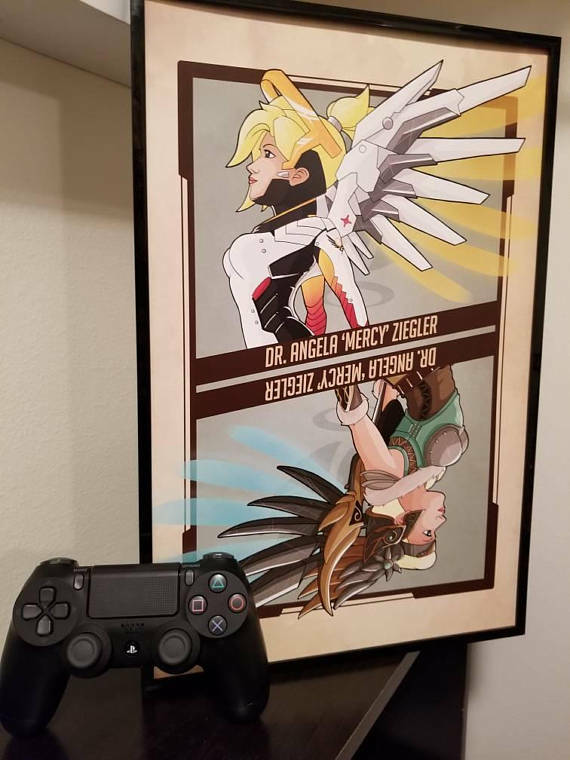 Thanks for sharing the wonderful art! Wildcard please! Wildcard and marvel drawings please! All soooo pretty! Love the monthly dose of inspiration! Oooh so pretty! I'd love to be entered for the main drawing and for the Marvel print. the tiny nest in her hair! love it all! That tiny sketch is so impressive! I'd love to be entered for the main drawing. I'm loving that gold leaf on the tiny sketch! And those color pencil works on black? Exquisite! Commenting for all three drawings. Thanks, Jen! How do I pick a favorite one?! These are all so amazing and lovely. And wildcard, please. The overwatch posters would be AMAZING in a tabletop and video game room! Interested in the wildcard drawing, thanks! I love Nathan Szerdy's cute stuff, including the Marvel print. (I'm surprised I haven't noticed it at his booth before). On the give-away board, it's so hard to pick a favorite, but I really like the Maleficent "All the Powers" one. More beautiful finds, thank you! So much Potter this month!!!!!! Elephants! Those are awesome. I'd like a chance for all three drawings. Please enter me for the draws! I like the Marvel print. I’d love to get the marvel print - it’s amazing! The Hedwig print! Oh my goodness! And I would love to give the Marvel print a good home! I would like to win anything! It's all so pretty. Put me in the drawing for Marvel roundup. I'd also love the AT-AT Walk 0tiny from the giveaway board! Wow! Amazing art as usual! Love those potter princesses! Would also love to win that Marvel print :) Thanks! Beautiful stuff..and that Sailor moon is excuisite. My jaw is on the floor over those gorgeous paper cut illustrations. Oh, wow!!! I’m all over that Marvel print. Although sonbot is over my shoulder naming them all off and stating his claim to it. As always, you have found some amazing stuff! I love a lot of the stuff on the giveaway board (as usual!). Well all Harry Potter related prints I want! 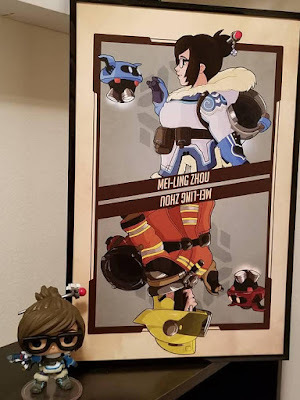 And that Marvel print is amazing and super cute! Oh that Hufflepuff is adorable!! That Marvel roundup is great, and I love those colored pencil drawings!